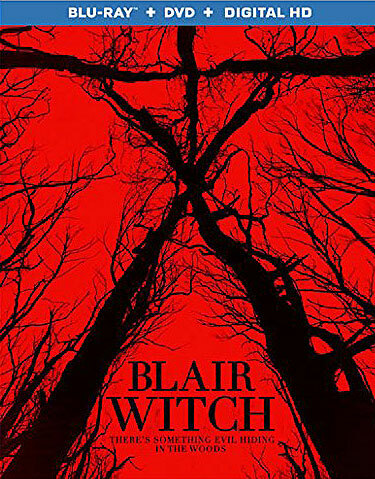 WHAT: After uncovering new evidence that suggests his missing sister Heather may still be alive, James (James Allen McCune) and his friends venture into the Black Hills Forest – the site of her mysterious disappearance – and come face to face with the legendary Blair Witch. EXTRAS: In addition to an audio commentary by director Adam Wingard and writer Simon Barrett, there’s a six-part making-of featurette and a tour of the set. WHAT: An unconventional biopic that follows Steve Jobs (Michael Fassbender) backstage during three product launches – the Apple Macintosh in 1984, the NeXT “black box” in 1988, and the Apple iMac in 1998 – that helped shape his legacy. 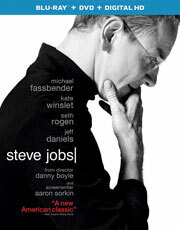 WHY: For a movie about one of the most innovative people of the past century, it’s fitting that “Steve Jobs” is as risky and unique as the man himself. Aaron Sorkin was the perfect screenwriter to tackle this material, creating a sharp, funny and often unflattering look at Jobs that moves like a bullet train, despite the dense nature of its three-act structure. Director Danny Boyle stays out of the way for the most part, allowing Sorkin’s script to sing with few distractions, but he brings an electric immediacy to the story that’s reminiscent of live theater. Michael Fassbender is excellent as the title character, blurring the line between fiction and reality with his nuanced portrayal, while the rest of the cast shines in supporting roles. Though “Steve Jobs” will rub some people the wrong way with its prickly depiction of the Apple visionary, it’s an endlessly fascinating film that’s more respectful of its subject than it initially appears. 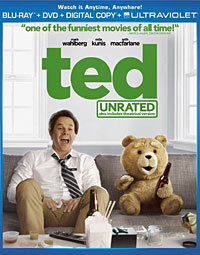 EXTRAS: There’s an audio commentary by director Danny Boyle, writer Aaron Sorkin and editor Elliot Graham, as well as a making-of featurette. WHAT: When small-time criminal Jimmy “Whitey” Bulger (Johnny Depp) begins to make a name for himself in South Boston, he strikes a deal with childhood friend/FBI agent John Connolly (Joel Edgerton) to help get rid of the local mob. 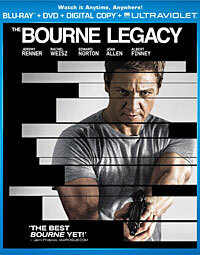 But as John struggles to cover up Whitey’s growing criminal empire, he unknowingly places himself in the FBI’s crosshairs. 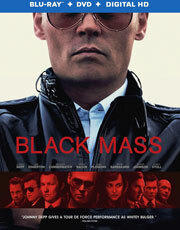 WHY: Much like director Scott Cooper’s first two films, “Black Mass” is a pretty slow burn, and although that comes with the territory of the crime genre, the movie doesn’t have anything new to say (or a new way to say it) that hasn’t been done in countless other gangster flicks. The true-life story is certainly compelling, but it never attains the greatness to match its ambition, despite Johnny Depp’s effectively chilling turn as the notorious Whitey Bulger. It’s not an overly showy piece of acting, servicing the story instead of his own self-indulgence for once. Unfortunately, the rest of Cooper’s top-notch cast (save for Joel Edgerton) is wasted in throwaway roles, which is not unlike the film itself, because for every outstanding setpiece, there are several scenes of tedious filler that grind the movie to a halt. Still, while it doesn’t do enough to earn a spot among the classics, “Black Mass” is a satisfying crime thriller that’s worth watching if only for Depp’s impressive return to form. EXTRAS: In addition to a documentary about Whitey Bulger’s eventual capture, there’s a making-of featurette and a behind-the-scenes look at Johnny Depp’s transformation.